You are what you eat. Your hair can be a record of this, with new hair growth preserving what’s happening in your body. 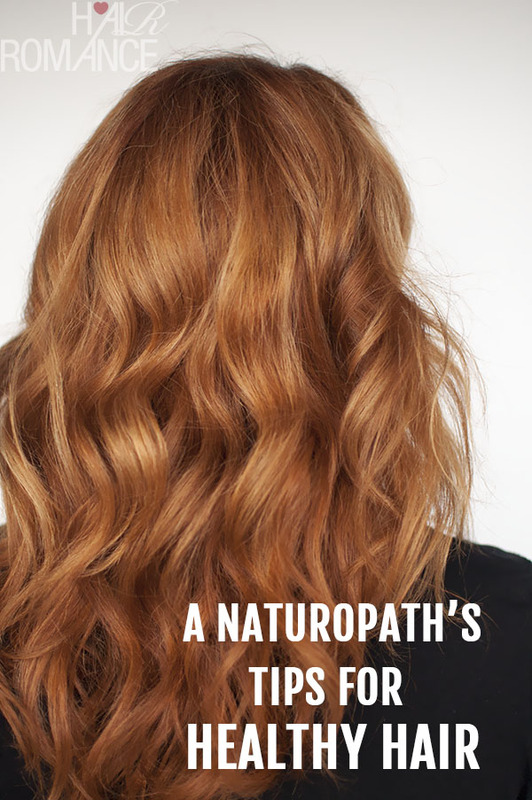 Hair Romance chats to Shelley Atkin, naturopath at Lifestream, about her tips for healthy hair. How does our diet affect our hair? Our hair is an amazing expression of our inner health. It sounds strange but I think people notice this more in their pets – a nice shiny coat indicates a healthy pet – and it is the same in people. Our hair is in constant growth and requires a matrix of nutrients to support its strength, growth cycle, and appearance. If protein or other nutrients are not being consumed then our hair will start to show the signs. Dull, limp, thin, breakages, oily/dry, and hair loss being the most common signs to notice. All of the action happens in the follicle in the growing phase, so if it doesn’t get a good start then no amount of product is going to hide the evidence in the long term. What can our hair tell us about the health of our body? It can certainly be an indicator of nutrition. But also may indicate a hormonal imbalance if it is growing too much, or being lost. If there is hair loss it might also be a sign of incorrect dosing of medications for example. If it lacks shine it may be indicative of not enough good dietary fats being part of the diet. If it is prone to breakages it may be because of missing nutrients as it grows from the scalp developing its strength. What should we be eating/doing for healthy hair? Protein is essential as hair itself is made of the protein keratin. There are of course meat sources of protein but also eggs and dairy. For vegetarians it can be more of a challenge and this is where legumes and greens like Spirulina are ideal. The proteins and nutrients also need to reach the scalp through our circulation – Our red blood cells and circulatory system requires the B complex vitamins (including Biotin) and iron to support this. Vitamin C is an important nutrient for hair, skin and nails as it develops collagen which results in the strength of hair follicles. Many people know to take Vitamin C for a cold, but its effects on hair, skin and nails is not as widely known. Vitamin C also supports iron absorption. Other nutrients that contribute to healthy hair are BetaCarotene (vitamin A), Zinc and trace nutrients Magnesium, selenium and copper. A well balanced diet with orange, red and pink for BetaCarotene, along with green leafy vegies will deliver these nutrients. Silica is another nutrient important for healthy hair, promoting growth and strength. Fats – Essential Fatty Acids play an important role in regulating oil production in the skin. Having a well hydrated scalp will help hair follicles grow strong and silky. Include fish, nuts and healthy oils in your diet. What are your top 3 recommendations for supplements to improve scalp and hair health? QSilica One-a-Day tablets -contains high strength Silica as well as Zinc, Selenium and a clinically trialled dose of Biotin. Lifestream Bioactive Spirulina tablets delivers 70% complete protein along with the vitamins, minerals, essential fatty acids and trace nutrients mentioned above to ensure overall good health. Its absorption is superior to a multivitamin too. Lifestream Natural Vitamin C capsules – a wholefood source that is better absorbed for hair strength and iron absorption. Do you think about how your diet affects your hair? Do you take supplements for your hair? Tell me about your experiences in the comments below.